Away from the busy city life of Boston, one can find Singing Beach, a place where the sand “sings.” But before you get carried away with dreams of reenacting Tom Hanks ’ scene of dancing on a giant keyboard in Big, you should know that the sounds coming from the sand are more of the squeaky variety than the melodic. 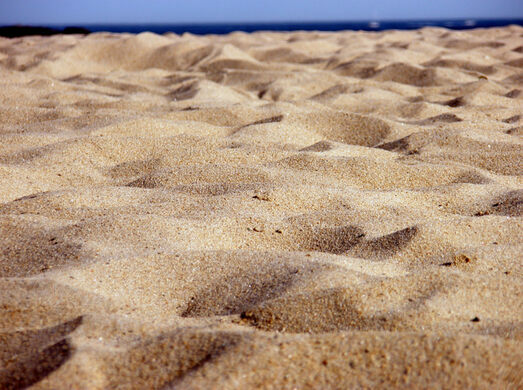 Nonetheless, visitors who shuffle their feet on Singing Beach’s dry sand will hear the distinct creak of the sand. This phenomena is not able to be fully scientifically explained, but some believe that the sound is produced by shear, in which the surface of one sand grain rubs against the layer beneath it. The process is very delicate, as even the smallest amounts of pollution, dust, or organic matter on the sand can reduce friction enough to quell the sound. The best part of the beach for hearing singing sand is on the dry side above normal high tide lines. Singing sand occurs under three conditions in which the sand: 1) is round and between 0.1 and 0.5 mm wide, 2) contains silica, and 3) is at a certain humidity. One of North Shore’s most popular attractions, Singing Beach’s small parking lot is often too small to accommodate the crowds. 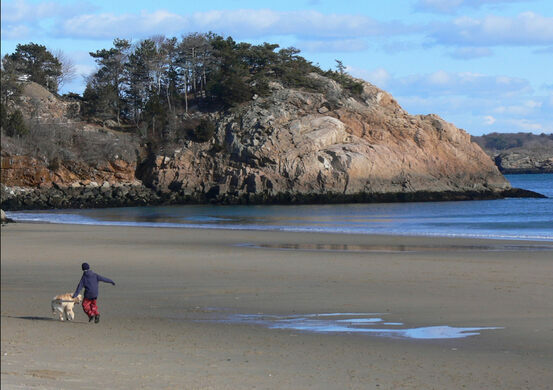 It is recommended that visitors get there early as the beach is often full by 11:00 a.m. There is no parking. There is also a $7 per person fee to walk into the beach. The cost might not be there in the off season. Ornate and macabre headstone in one of the country's oldest cemeteries.